The four finalists of the inaugural Experimental Architecture Award have been announced, recognising projects that combine real locations with virtual-reality fiction and installations that explore the guts of architecture. Holly Hendry, Chris Hildrey, Lawrence Lek and Public Practice are the four experimental architects and artists that have been shortlisted for "pushing the boundaries of how we can explore, experience and create space in its many forms". The Experimental Architecture Award was set up by the Arts Foundation to open discussions around the role of experimentation in contemporary architecture, and how architecture, art and design can address spatial issues. "We really had to wrestle with the term 'experimental architecture'. What does it mean?" said Justin McGuirk, one of the award's judges and chief curator of London's Design Museum. "We established quite quickly that it didn't mean what it might have in the 1970s – with paper architecture serving as a preamble to a future career designing buildings," he added. "Rather, it seemed to be much more about other possibilities, from virtual spaces and bureaucratic systems to sculptural interventions." Architect Chris Hildrey has been shortlisted for his radical methods of re-imagining cities with social issues at the forefront. He worked on his latest project, ProxyAddress, as part of his year as Designer in Residence at London's Design Museum. He has already been recognised by RIBA for the project, a database that could match people facing homelessness with the address of an empty property to redirect official communications from. Many vital things such as banks and jobs require a permanent address, and being unable to access them can make a temporary slide into homelessness permanent. Architect and visual artist Lawrence Lek has been recognised for his use of real-time graphics and VR to design utopian digital spaces. Lek takes real geographic places but imagines them in fictional scenarios in order to examine ideas around the experience of space. These site-specific virtual worlds are created using a mix of gaming software, 3D animation, installation and performance, creating immersive virtual realms. Also in the running to win the award is Sculptor Holly Hendry, who makes "materially overwhelming" pieces that use and sometimes exploit the normal rules of architecture. Her pieces examine the cracks and rear views that reveal the inner workings of buildings, examining themes of bodily containment and expulsion. 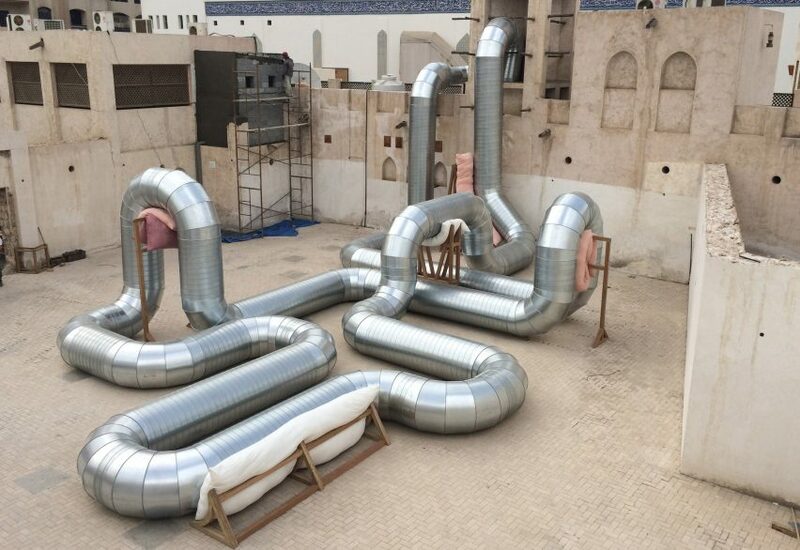 Her outsized installations often use less glamorous architectural elements such as air ducts and sewer pipes. The shortlist is completed by Public Practice, founded by architects Pooja Agrawal and Finn Williams, a social enterprise that embeds architects and urbanists in local authorities. These experts help teach proactive planning and empower public sector workers to think creatively to tackle issues such as affordable housing at a local level. The award will be judged by McGuirk, along with AL_A founder Amanda Levete and director of the Architectural Association's Design Research Lab (AADRL) Theodore Spyropoulos..
Tracey Emin will announce the winner of the first Experimental Architecture Award at the Arts Foundation Futures Awards, held on 28 January at the Institute of Contemporary Art. A fellowship of £10,000 will go to the winner, with the remaining three finalists each receiving £1,000.